Games can change the world for the better, and there’s a new book out that proves it. 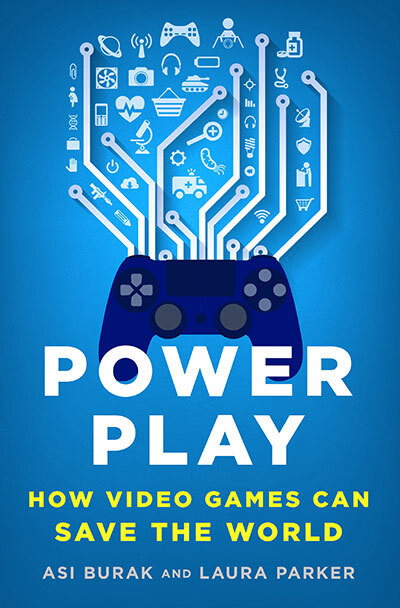 Power Play: How Video Games Can Save the World released yesterday from authors Asi Burak and Laura Parker. We spoke to Burak, the former executive director and now chairman of Games for Change, about the book and the stories it tells about gaming’s champions for social good. Burak spent much of his life in Israel before moving to the U.S. and creating PeaceMaker, a simulation of the Israeli-Palestinian conflict (available for PCs and mobile devices). It was one of the first recognized “games for change” a decade ago. Together with Parker (a reporter for The New York Times, The New Yorker, and other major publications), Burak aims to open people’s eyes to the power and potential of video games. What do you discuss in Power Play? Asi Burak: [Laura and I] looked at the space and we said, how can we engage people who are not necessarily experts? In 9 out of 10 of the cases, [people] are completely unaware that games for change exist. Not as an organization, as a concept. Talking to people that are not playing games, their perception of video games is pretty distorted or very lacking. They don’t follow video games like they follow any other media. The stories that I tell them about this movement are very new to them. So the book was coming from that place. How can I tell those stories to people that are unaware or don’t appreciate video games necessarily? And we started to focus on eight heroes or pioneers, some of those very compelling cases of people who went against all odds and made video games for change that were successful, with real evidence for their impact. They were really ventures, not just pet projects. They were almost like starting businesses, and in some cases it was. And those stories we felt that everybody can relate to. Each chapter is one of those stories. We also chose very colorful characters, so we have a Saudi prince, and Sandra Day O’Connor, who’s a former Supreme Court Justice. We have Nicholas Kristof and Sheryl WuDunn, who are Pulitzer Prize-winning journalists. We have a brain scientist who is making enormous impact with the research they’re doing with video games. We took those iconic but very real people, and we brought their stories and how they started and how they made it. We tried to be very realistic, so we also speak about things that they might have done differently. It’s not a textbook. The storytelling is just a good business or pop culture story. At the end, we do touch a bit on virtual reality and the future. So after we tell those compelling stories of the present and the past, we look at where it could go. What about the book would be of interest to educators? Burak: Laura and I on purpose took the broadest perspective, so we definitely wanted to show things outside of the classroom, that are being consumed just like any entertainment product. But we can’t ignore the main examples that we have from games in the classroom. So there’s definitely the story of iCivics. It was covered in newspapers, but when you write about it in a book, you can go so much deeper. We tell the story from the [perception] and how O’Connor got convinced that video games might be the direction. And how at the beginning it was such a small operation and all the challenges, and how teachers are using it today and the results. We also tell some stories when we talk about PeaceMaker, my own game. That’s the first chapter. We talk about the educational context of a game like PeaceMaker. It’s about perceptions and empathy and changing perspectives. There is another chapter where we talk about making games. The whole movement in the last few years in games for learning and games for change, and the idea that the process and the benefit of the creation of video games is not less and sometimes even greater than playing them, for students. 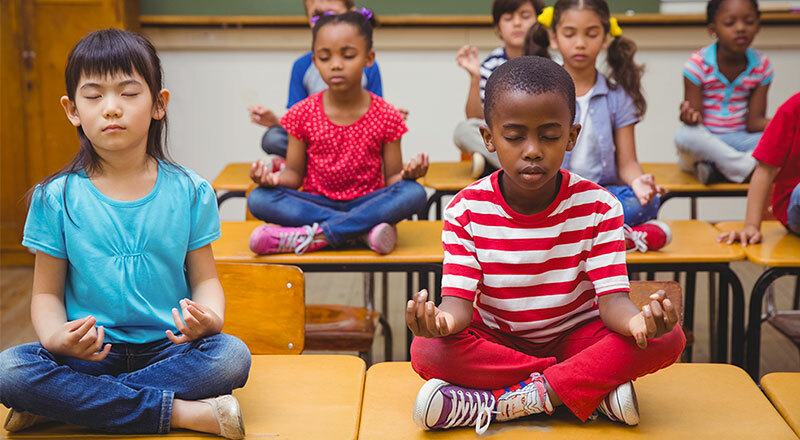 We talk about some of the things the education department was doing that was done in schools in the U.S. and even the White House. 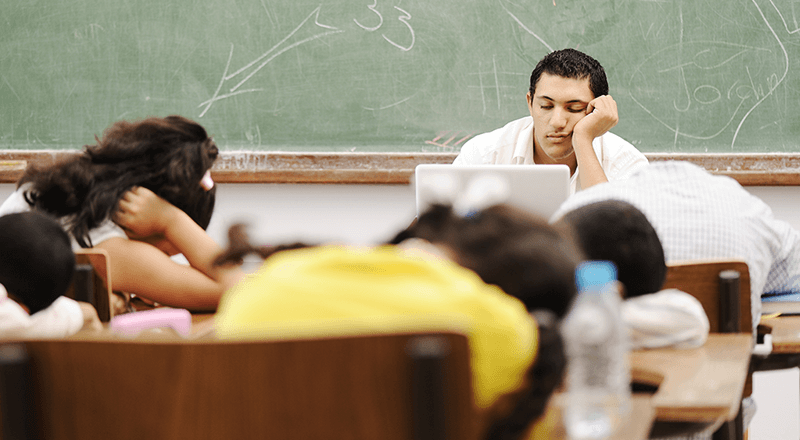 … Definitely there is a lot for teachers to see there, and again, the greater understanding is that this is a medium that they need to understand to a certain level because it’s a medium that their students are most engaged with today. There’s this gap between how engaged with games and how less engaged they are with what’s happening in school. Why are people at these big organizations, like the White House and NASA, paying attention to games? Burak: First of all, a lot of work was done by a lot of organizations. Games for Change is one of them, but there are many others that were contributing a lot, and also some strong voices. Some of it is really a matter of enough advocacy and convincing that we all contributed to. It’s also coming from a policy level. Video games are at the level that you can’t ignore them. Some big organizations are starting to think, if we can’t fight them, why not join them? Some of them come to it almost like something they can use or take advantage of. But some of them really look at it in a very meaningful way. They want to investigate it, they want to understand it. They see where the trend is going. 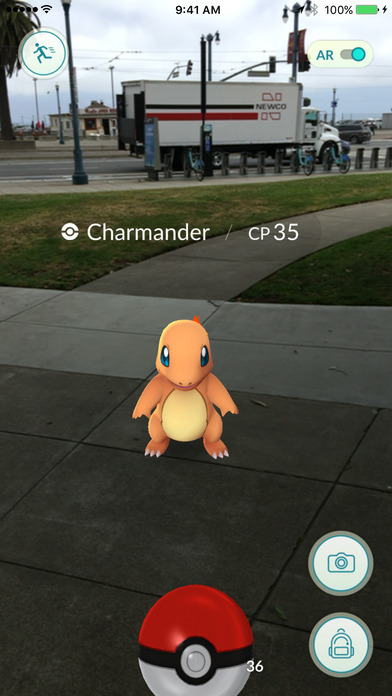 Pokémon Go is an example. You know how many big organizations I’ve seen recognize this phenomena and immediately thought about how something like this could be related to what they do and promote what they do? It’s very hard to ignore. Immediately they think, wow, this level of engagement. I wish that people were this engaged with what my organization is doing. They understand it. This is the future, and they want to be part of it. What is virtual reality going to change about these kinds of games? Burak: There are many things that I’m excited about in virtual reality. One of them is the fact that it’s being approached by a lot of different creators. Even the idea that filmmakers are coming in, and they do their work in live action. Then you have gamemakers coming in, and they do the work in 3D. There’s kind of this one medium that is becoming the intersection. Another thing that I love about VR is it’s a medium that from its very early birth is not defined just by entertainment. Everybody gets intuitively that you can do so much more. It’s going to be a training tool, and a business tool, and an education tool. 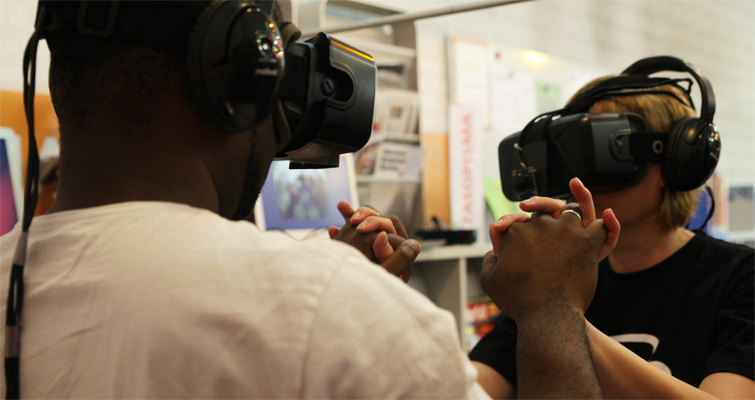 VR for change is broader than games for change. The piece that I’m also very excited about is empathy. The more examples I’m seeing—and we’re still at the very early stages—the more I see how VR is strong with empathy. There are stories in the book about experiments being done in Stanford in the VR lab that really tackle empathy and show even very short experiences have an amazing impact on people that go into this immersive environment. There is a story in the book about a project that started as a student project called A Machine to Be Another, where people switch genders or even ages. They even did some of those experiments with people that are naked, and they put them back to back, and the men are basically watching the body of the woman, and the opposite. I think that VR, we’ll see more and more that it has strong potential to generate empathy and let people go to other places and become other people and change perspectives. It’s not going to be only about shortcuts. It’s not going to be that, okay, instead of flying to Barcelona, I’m going to be in Barcelona. One example I witnessed is to be in a refugee camp in Jordan. That kind of jump is beyond making it easier. There’s no way I would watch this perspective of the little girl that is walking through the refugee camp if it’s not virtual reality. I can watch a movie, but it’s not like I’m standing there and can go 360 and look around. It’s a very different experience. The fact that we see it so early means it’s in the DNA of the medium. What have you learned along the way that’s surprised you and stood out to you? Burak: It was a super interesting process. We’ve seen a lot of things that surprised us in terms of the journey. Looking from the games for change perspective, things looked much easier than they were in reality. 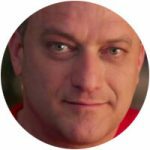 To hear about the journey that iCivics did, you discover that even with having such an amazing figure to represent the project, it was a hugely difficult process. There’s a story about the Saudi prince that started a company and all the challenges. It’s just hard. All those stories are about hard projects and very complex ideas. That was one thing. The other thing that I liked, when we talk about making games, we also quote Anna Anthropy. She’s an indie, and she has a very particular voice that is very different from a lot of the do-gooders or social activists that we interviewed. She started to get emails from people who played [her game Dys4ia] saying they appreciate her perspective. She actually gets annoyed and frustrated that people think that they can play the game for 10 minutes and actually understand what she went through. As much as we’re doing this great thing, we need to maintain the balance and understand that it’s just a window. It’s not like each game is going to change the whole situation.